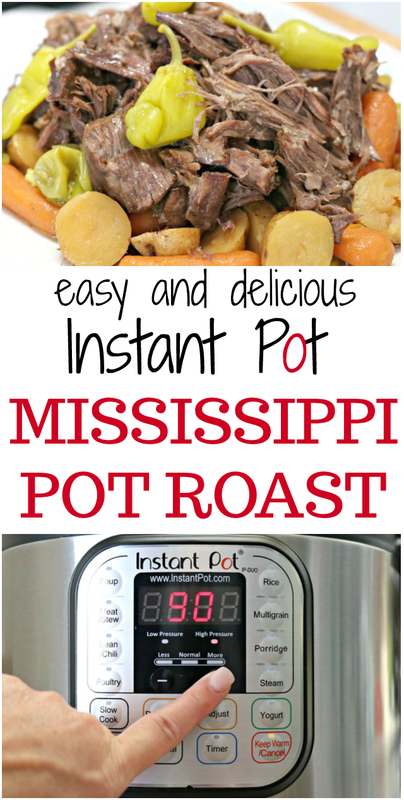 One of my absolute favorite comfort food meals is a Mississippi Roast. 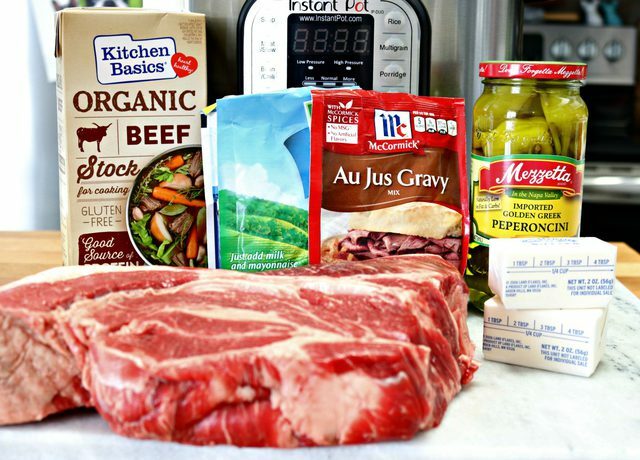 We’ve been cooking it for years in our slow cooker, and now we love cooking this easy and delicious Instant Pot Mississippi Roast in our pressure cooker. It’s done and ready to eat in a fourth of the time, shreds with ease and is full of amazing flavor. It’s sure to become a family favorite recipe for you family…even the kiddos! The pressure cookers that were used when our parents were younger weren’t very safe, but the new electric pressure cookers are safe and so easy to use. 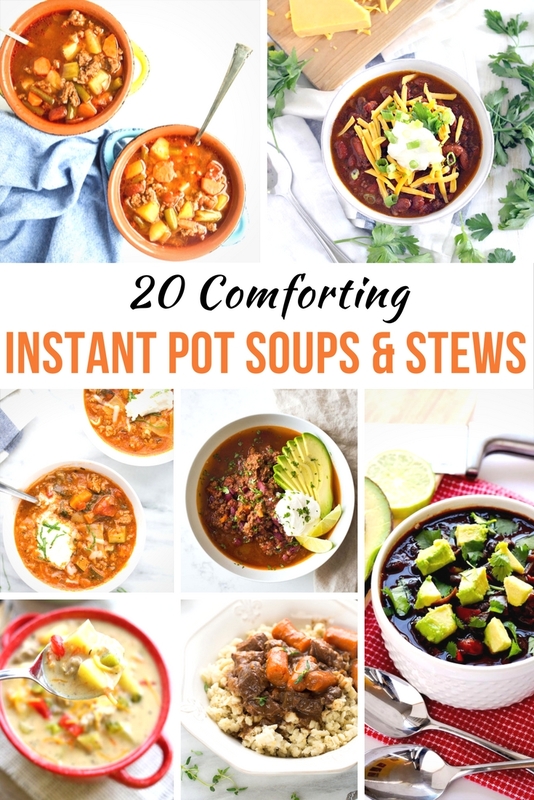 I have an Instant Pot pressure cooker, and am absolutely in LOVE with it! 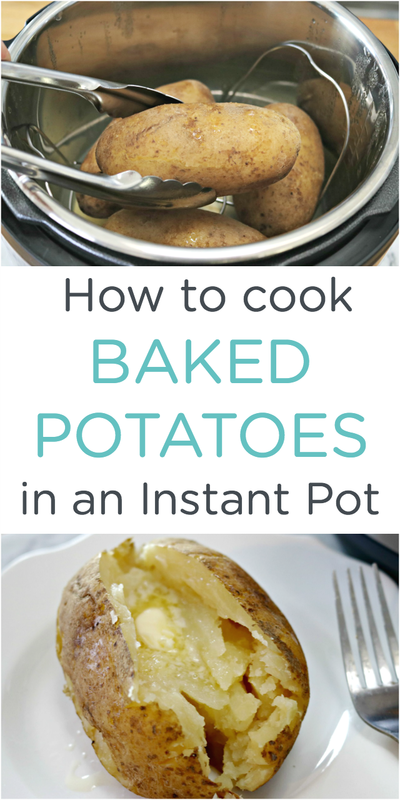 I’ve used it to make the Best Baked Potatoes, Easy Boiled Eggs, Amazing Corned Beef and Cabbage, Tons of Soups and so much more…it definitely gets used more than any other kitchen appliance I own. 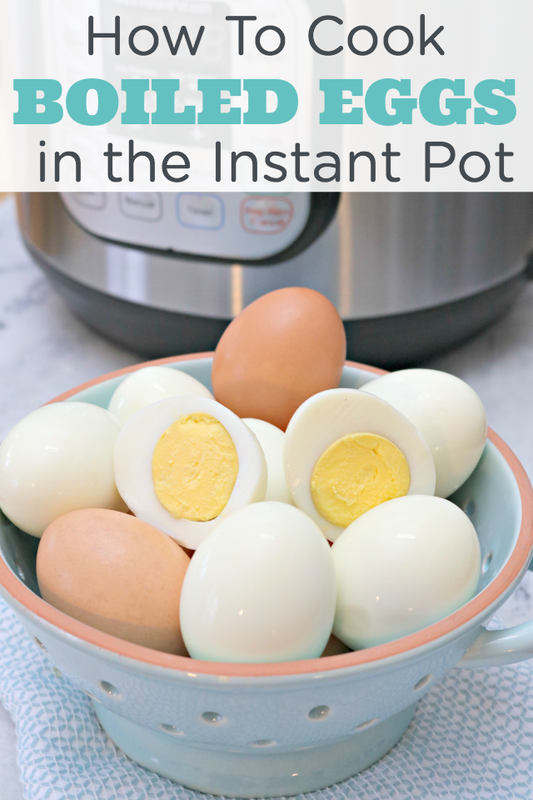 If you are interested in purchasing your own, you can find the Instant Pot that I use HERE. Place the steaming basket in the pot, then add the beef broth and peperoncini juice into the bottom of your Instant Pot or pressure cooker. Next, add your chuck roast. If you like, you can place some vegetables underneath the beef roast. We like to add new potatoes and carrots to ours. 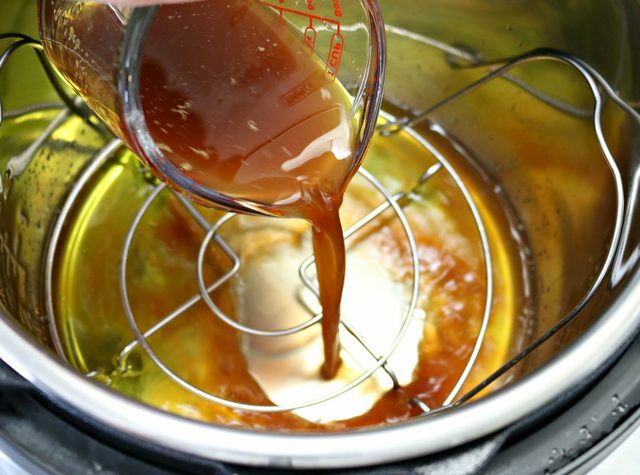 They steam and get infused with all of the flavor while the roast is cooking. 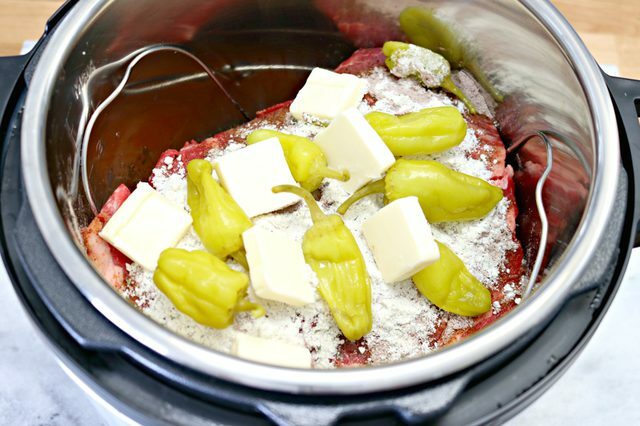 Pour the Au Jus and Ranch Seasoning packages on top of the roast, then place slices of butter all over the top. Finish it off with a few peperoncinis. The peperoncinis give the roast a little kick, and can be left off if you don’t like anything spicy. It’s super mild, and my kids love it. Press the “manual” button, then set the timer for 90 minutes. 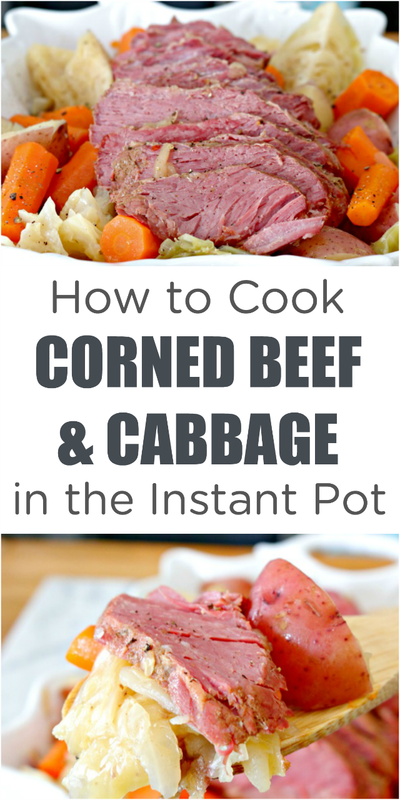 If you would rather cook this in a crock pot, cook on high for 6 hours or low for 8-12 hours. Once the roast is finished and your time is up, move the vent on the back of your pressure cooker to quick release. Wait for all of the steam to escape, then carefully open your pressure cooker. Do not place your face directly above the pressure cooker when first opening. There will still be some hot steam that needs to escape. 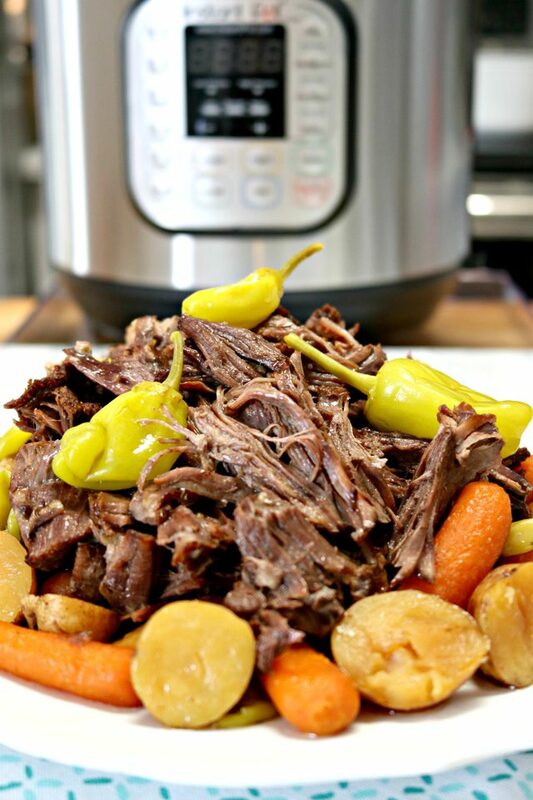 You can slice or shred your pot roast and serve it any way you like. Sometimes we serve ours with potatoes and carrots, but we also like to shred it for tacos, serve over noodles, and even use for delicious vegetable soup! Add steam basket to pressure cooker. Next, pour beef broth and peperoncini juice into pot. 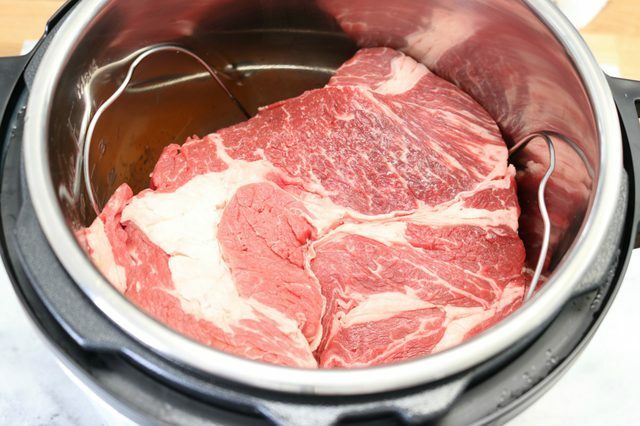 Place the chuck roast on the steam basket. Pour the packets of Au Jus Seasoning and Dry Ranch Dressing Mix onto the roast, then top with slices of butter and peperoncinis. 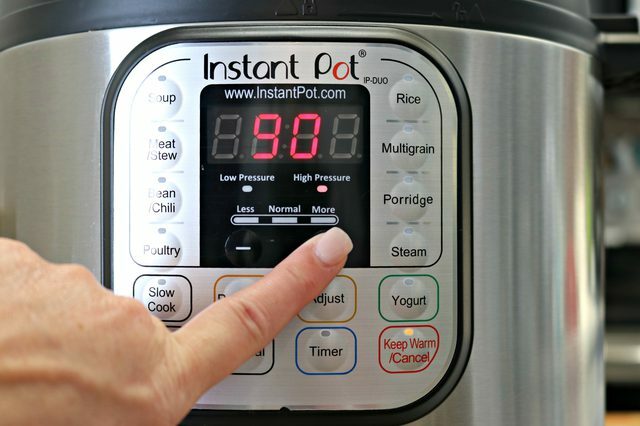 Set the Instant Pot to cook manually for 90 minutes. 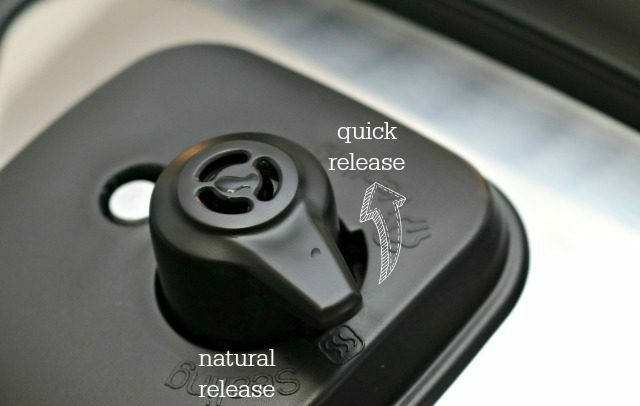 Once the cooking time is finished, use the quick release feature to let all of the steam out. Remove the lid and serve immediately. 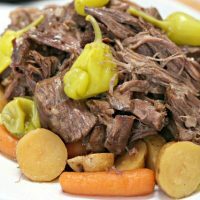 Mississippi Roast is delicious on its own, served with potatoes and carrots, shredded for tacos or in vegetable beef soup. Do you place the veggies in the broth, or on the steam basket?